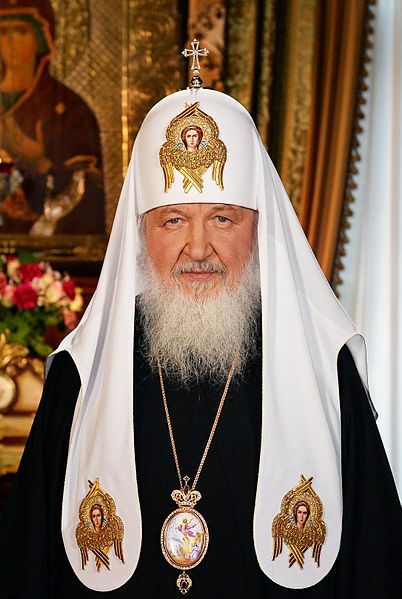 “Patriarch Kirill of Moscow and All Russia will be received by Queen Elizabeth II on Tuesday, and the situation of Christians in the Middle East and in Europe will be discussed, the head of the Patriarch’s press service said on Monday,” reports Russian State News Agency TASS. “It is expected that the situation of Christians in the Middle East and of course the present situation of traditional Christianity in Europe, which unfortunately is facing hard times, will be among the issues to be discussed in the conversation,” Alexander Volkov said. “Queen Elizabeth II will receive Patriarch Kirill at Buckingham Palace. Attending the meeting will be Chairman of the Moscow Patriarchate’s External Church Relations Department, Metropolitan Hilarion (Alfeyev), Archbishop of Canterbury Justin Welby and Bishop of London Richard Chartres. The meeting is expected to continue for about half-an-hour. The Russian Orthodox Church hopes the upcoming meeting will produce tangible result, Volkov said. He said “it is aimed at emphasizing the importance of preserving essential for the whole Christian world values in the present-day world”. “We expect that this meeting will produce tangible result also for building up relations between our peoples, as both the Church and the Monarchy are a basis for preserving traditional values, which unfortunately are nowadays losing their meaning in the eyes of many people,” the spokesman said. The head of the Russian Orthodox Church arrived in the United Kingdom on a pastoral visit, the first in the two countries’ history, to mark the 300th anniversary of the presence of Russian Orthodoxy in the British Isles. The visit will last until October 18.